The winners or best stories submitted in November were recently released and published on the JEA-Flipboard Magazine. Read about the winners and the magazine on Flipboard’s post. The magazine has over 500 followers and is hoping to hit the 1000 mark soon. 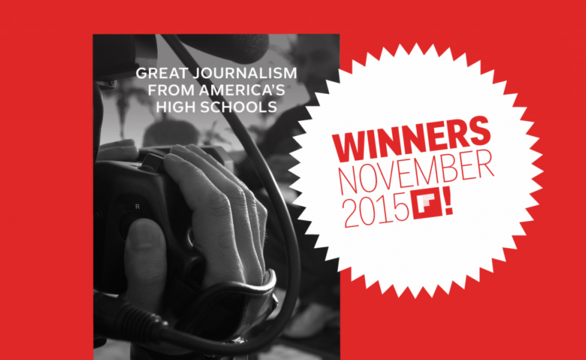 Submit stories to hsjournalism@flipboard.com. Winners get published in the magazine and receive a Flipboard t-shirt.